As we edge towards the end of November, winter has definitely hit. 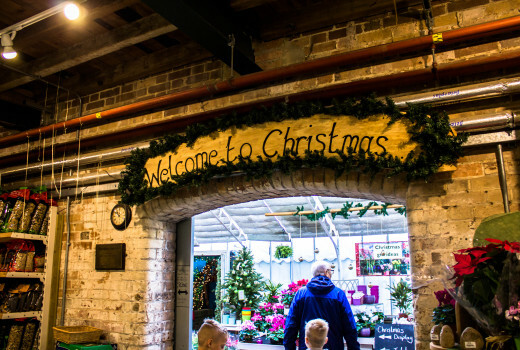 With the Christmas Markets, lights and decorations around Manchester lately, I’ve started to get into the Christmas spirit myself. As you should know, I love all things interior and homeware, so at this time of year I love to decorate my room for the winter period. I always find that by changing your duvet cover, you can easily change the look and feel of the whole room. 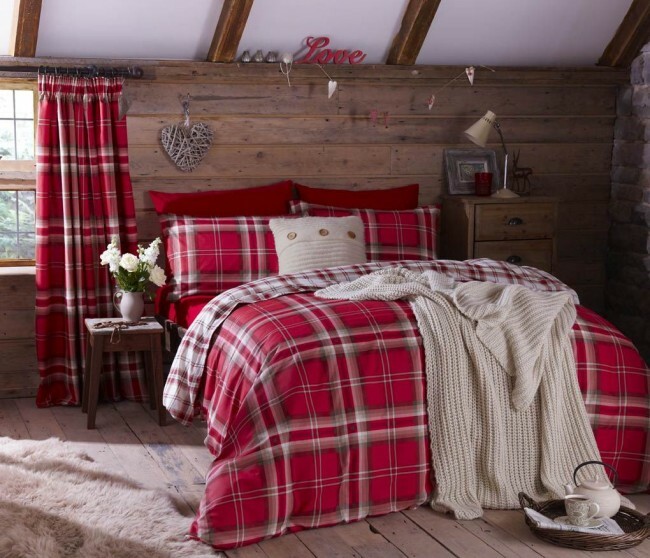 Currently, I am searching for my own winter Duvet Cover in order to create a winter wonderland feel in my university halls room. Here I have made a list of my top 5 favourite duvet covers for the winter period. The first Duvet I chose was this heart duvet cover. I loved this one as even though it’s still got Christmassy colours, it’s more appropriate for the whole of winter. I really love the hearts and patterns used in this duvet. This duvet cover is from Dunelm. This second duvet cover is from Littlewoods. 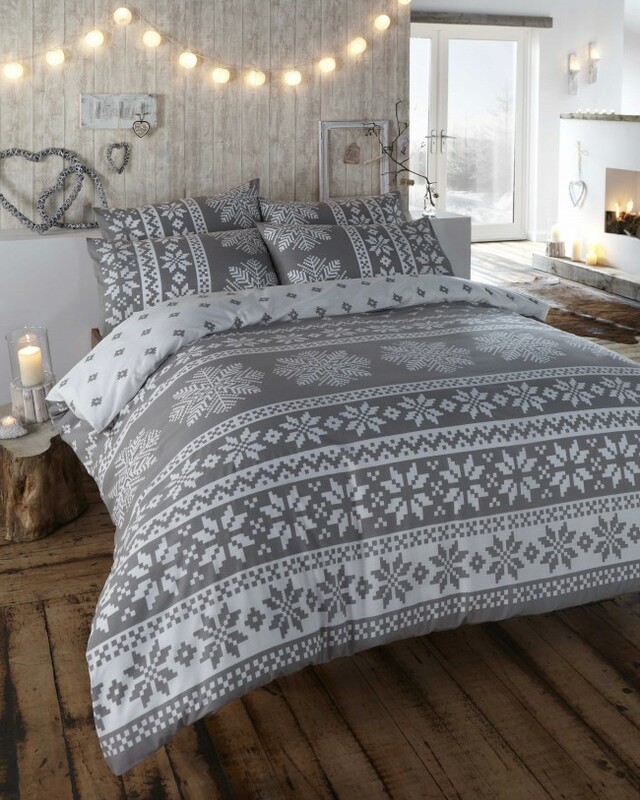 The Christmassy feel without the use of bright colours drew me towards this duvet cover. This would work well within a modern room, or a room where reds and green or other Christmassy colours and patterns might clash. I am a lover of tartan. So instantly fell in love with this third duvet cover. 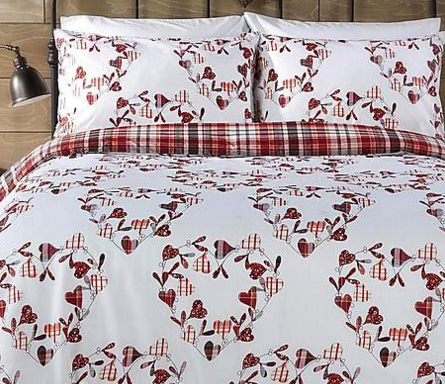 This duvet cover, like the heart cover, is more toned back. It’s not so Christmassy. So if you want to make your bedroom feel wintery, without making it too Christmassy, this is perfect. I feel this would be perfect for a more mature winter bedroom. This cover is from Yorkshire Linen. 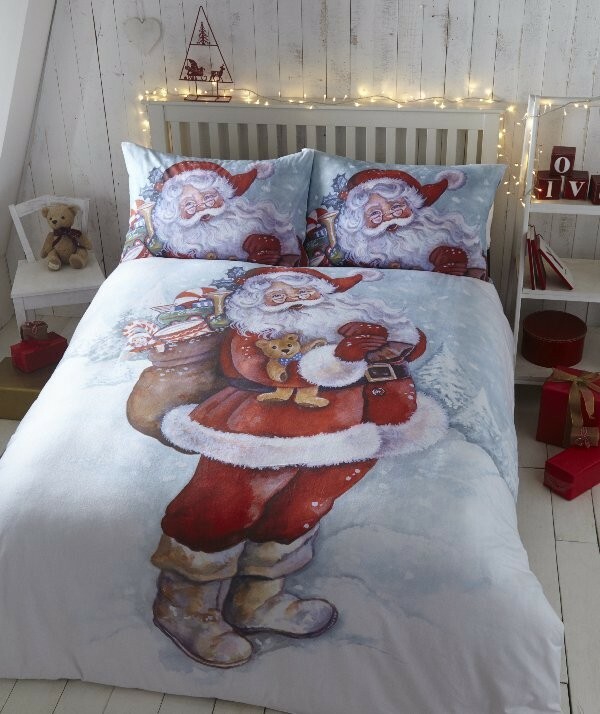 This duvet cover, is definitely for the Christmas lover. I adore the vintage Christmas look to this cover. There’s nothing toned back about this cover, but that’s what I love about it. There’s no denying it’s Christmas time and as a Christmas fanatic I think it’s fantastic. This duvet is from Yorkshire Linen. This final duvet is from Yorkshire Linen and is probably my favourite. I love the snowflake geometric pattern used for this cover. For some reason this reminds me of sitting by a fire with a hot chocolate. To me this has the most wintery feel of the five, as well as having a beautiful finish. Do you like to decorate your room seasonly? I hope this has helped you with your duvet hunt, or at least given you some ideas. Do you like decorating your room for the winter season? How do you decorate it?